Washington (CNN) – Two potential contenders for the 2016 GOP presidential nomination weighed in Wednesday on the congressional battle over Obamacare that's now putting a government shutdown at risk. While former Florida Gov. Jeb Bush and Louisiana Gov. Bobby Jindal agreed the president's health care law is a disaster, they had slightly different comments on House Republicans' refusal to pass an upcoming spending bill unless it kills funds for the president's health care law. Asked at a National Press Club event in Washington whether the GOP should move forward with the plan, Jindal didn't directly answer the question but said he believes the "repeal and defund" strategy is certainly "a fight worth having." House Republicans have voted to defund Obamacare at least 40 times since it became law in 2010. While a few provisions have already kicked in, open enrollment for the state insurance exchanges starts October 1. "I think (Obamacare) needs to be replaced, but I think 'repeal and defund' is certainly… a fight worth having. I don't think as a party we should negotiate with ourselves or take anything off the table," Jindal said. The governor, however, insisted Republicans need to come up with an alternative. "I don't think it's just enough to say we'll repeal it." Jindal opted out of the federally-funded Medicaid expansion for his state that would last three years, a provision under the health care law. Adding on, Bush said he wanted to offer "a little dose of reality." With Republicans holding the majority in the House, they only control "one-half of one-third" of the federal government, meaning their influence is greatly limited. "It's a reality. This isn't a hypothetical. So as we get closer to these deadlines, there needs to be an understanding that politically it's quite dicey for the Republican Party," he said. Bush argued the health care law is "so dysfunctional" and could "collapse under its own weight," implying Republicans should let the law fail on its own rather than try to bring it down with the threat of a government shutdown. "I don't think (the Obama administration has) the ability to implement it effectively, and so this debate will go on because this is not going to work," Bush said. 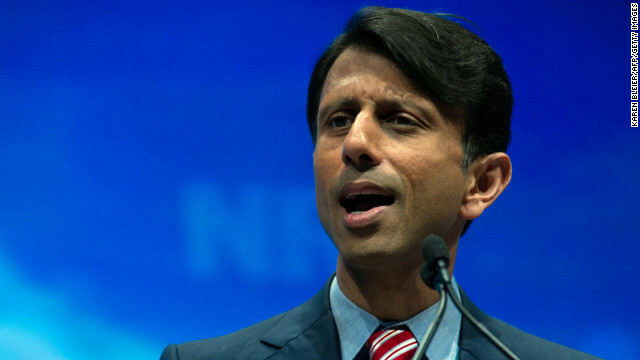 He agreed with Jindal that Republicans should have an alternative plan ready to go. Bush argued Obamacare is the "single biggest retardant" to job creation. "This issue's not going to go away, irrespective of what happens in the next couple of weeks here," he said. Bush also cautioned his Republican colleagues in Washington to think beyond the beltway when it comes to negotiating. "The fight here is important to have, this is an important part of political life. There's a lot things riding on how Republicans act as it relates to the deficit and budget issues and many other things. I'm not discounting what they do," he said of the nearing fiscal deadlines. "But I do think the emphasis of being against the president's policies, no matter how principled they are, needs to be only half the story, if not less," Bush continued. "There ought to be more focus on the efforts underway in state capitols and outside of government, to be honest with you, to rebuild America in a more traditional way." Do anyone one remember when Social Security, Medicare and Medicaid was initially instituted? Well they weren't perfect either but was eventually made better and effective. For Republicans to just want to kill a lawful bill with NOTHING they can offer to help with riding healthcare costs is plain simple stupidity. And we are paying them to do this. For all you who support their ideas take a look at their policy. They will be taken care if regardless if you will or not. I'm not an Obama fan but I do realize that GOD put him into the presidency for these times and IF you believe in God then you know He is in control. Don't let people keep lying to you. I would rather try something than doing nothing but keep making insurance companies more richer. You are your brother's keeper. I have one question for Bush and Jindal. What is your idea besides just saying no? If you can't pay the bill........and we cannot pay for ObamaCare.........then you have to find an alternative. Persons of "Non compose mentis". It is the Law. Period. Understand this. The affordable care act, a disaster? Okay, what alternative(S) have been offered up by the republican leadership? Answer: None. So if there is no alternative available, why not start somewhere, and improve from that point. Is this too much to comprehend? Are all republicans idiot's? or are only idiot's republicans. that is the question? Obamacare is a fight worth having? We already had it. The Supreme Court upheld it. The fight is OVER. If the GOP shuts down the government it will pay a very heavy price in the 2014 & 2016 elections. In the meantime average Americans will pay the price from missed days at work, to absent Social Security checks, to paying more in interest rates because of defaulted loans. The only people that will benefit will be Ted Cruze who will gain points with his base and conservative con artists who are conning the conservative information challenged for their donations to stop Obamacare. Is it really worth tanking our already fragile economy? No house Republican has the right to call him or herself a patriot for the best interest of the nation is not in their best interest, for theirs is absolute power and a return to the feudalistic policies of dark-ages Europe. There is no redstates or bluestates when it comes to healthcare, both have sick people who needs help. Why not improve the good parts of Obama healthcare while discarding the parts which are burdens. For these two losers the train has already left the station. One of the most common symptoms of the mentally reduced person or the insane is to repeat the same thing over and over again and again and then just to prove their point to repeat the same thing over and over again even when it is clearly incorrect, irrelevant or not totally true. 1) Some very close to home domestic circumstances for some one close to me. 2) Many psychiatric studies I have read to cope with 1 above which often call the most common cause of the constant repeater syndrome, Dementia and next on the list is paranoia, and eventually Insanity. 3) The third source of proof is the GOP. 40 times already they tried, never mind all the back door stuff going on at state levels mentioned by other bloggers to try and make PPACA not work. When asked could they get the required votes for straight repeal answer NO. Give us all a break and No more fiscal cliffs!! No more defund repeal Obama care talk. Can we get on with governing the country paying our way, reconciling a budget and thru that latter addressing our long term fiscal need as identified recently by the CBO. Jebb seems to command the language blend and wisdom to lunch another Bush into the Presidency. However, calling the ACA 'dysfunctional' is prejudging the program. His views are at sharp contrast to the hostility-friendly, tea party-influenced, wild, and unpresidential, remarks of other Repubs like Boehner and Ted Cruz. 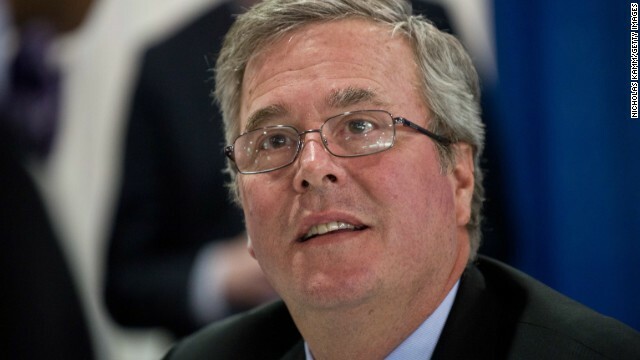 Can't wait to see the GOBP stuff Jeb Bush down the tea potty's throats Mitt the twit style. They should just let this train wreck on its own. This "we have to pass it to find out what is in it" fiasco will have the public begging to put conservatives in control of 2/3 of government, at the least. There must be something wrong with a plan that gets passed without knowing what is in it, then they exempt themselves and all of their friends from it.